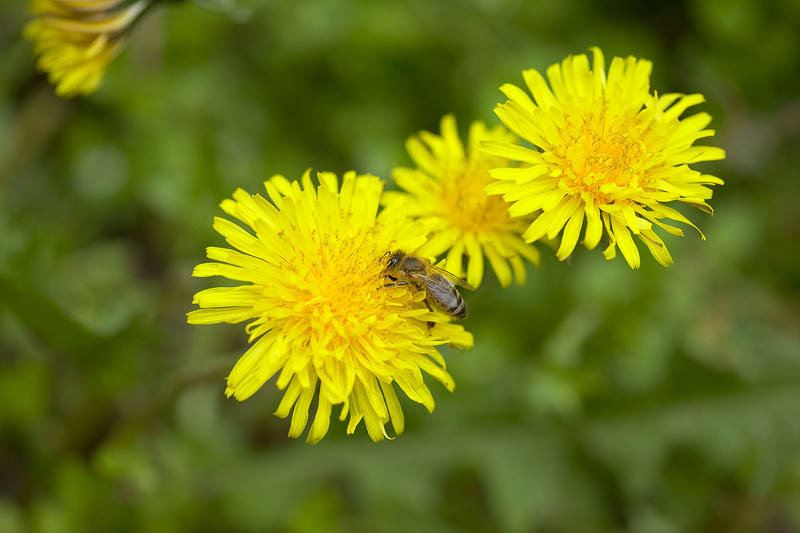 Close-up of tree dandelion flower blooms with honey bee. Insect on blossomed wild plant. Botany, flora.